Earlier this year we brought you news on LUCIFER (here) and now we can bring you more news including the official trailer. 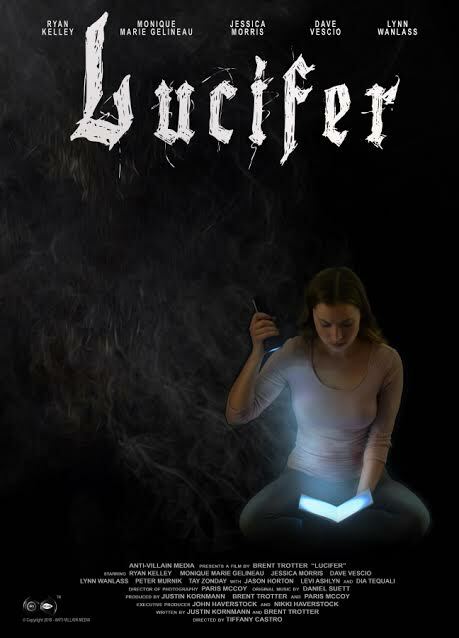 Anti-Villain Media and director Tiffany Castro have completed production on the supernatural horror title LUCIFER. Now, the film is slated for an appearance at the American Film Market, in Santa Monica. The film stars: Ryan Kelley (“Teen Wolf”), Jessica Morris (Haunting of the Innocent) and ex-con actor Dave Vescio. Now, a full length trailer is available for the film. In the story, Amiel (Monique Marie Gelineau) is pursued by a demonic force. She turns to the Bible for comfort, but the Devil is only growing stronger. Now, she must uncover the demise of a previous victim, before she can set herself free. A release date is coming soon for this feature. After the AFM, it is expected that an official release will be announced. Until then, fans of supernatural features can find out more on LUCIFER, here.